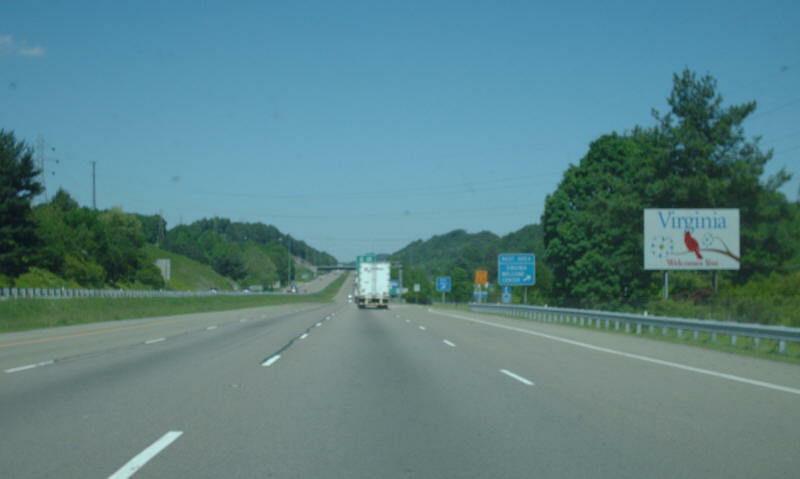 I-81 northbound entering Virginia from Tennessee. Photo by Mapmikey, taken May 24, 2008. At the West Virginia State Line. Apparently the Mountaineer State has gone from Wild and Wonderful to Open for Business. Photo by Mapmikey, taken February 1, 2006.